The plan for a better business environment for all festivals and major events rests on three pillars that will help Canada compete in a growing international market. We invite the Government of Canada to keep them safe, help them grow, and focus on their creation. 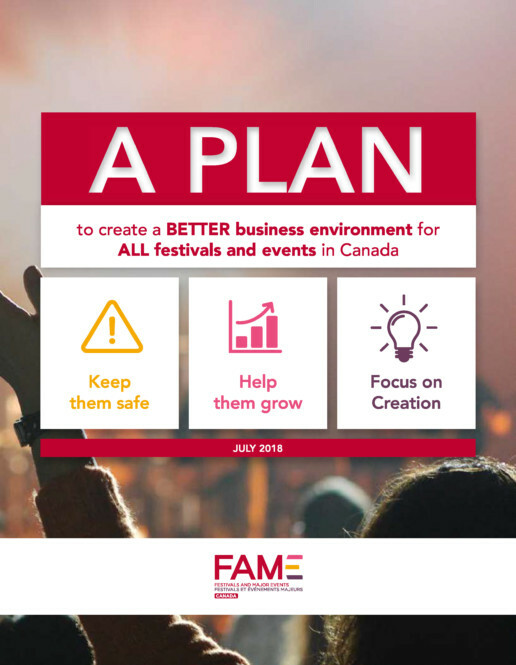 Festivals and major events Canada (FAME) submitted a brief as part of the pre-budget consultations in Ottawa. The proposal for a better business environment for all festivals and major events rests on three pillars that will help Canada compete in a growing international market. We invite the Government of Canada to keep them safe, help them grow, and focus on their creation. 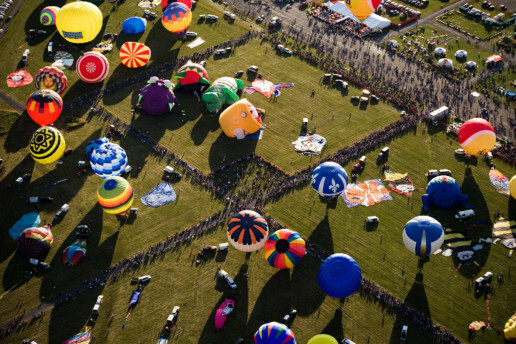 Security: The terrorist threat that is felt around the world forces festivals and events to take necessary mitigation measures, which represents a significant and increasing cost that cannot be covered through sponsorship or otherwise. Growth and Competitiveness: The disappearance of tobacco sponsorship and previous Federal programs — as well as an absence of reliable sources of funding — has stunted the industry’s growth and affected its ability to compete with other jurisdictions around the world in attracting international tourists. FAME wants to ensure that our industry will be able to compete to attract tourists in a rapidly-growing international market. Culture: As the number of events in Canada has increased, the budgets of programs that benefit the industry at the Department of Canadian Heritage have not increased in almost 10 years. This means that these programs remain under high pressure and cannot keep up with the demand. As the only pan-Canadian organization exclusively comprised of festivals and events in the country, FAME acts as the spokesperson for the industry. Therefore, the scope of our thinking extends to the entirety of Canadian festivals and events, of all sizes and all places. Small and large events are equally concerned by growth, security, and the recognition of their contribution to Canada’s cultural vitality. 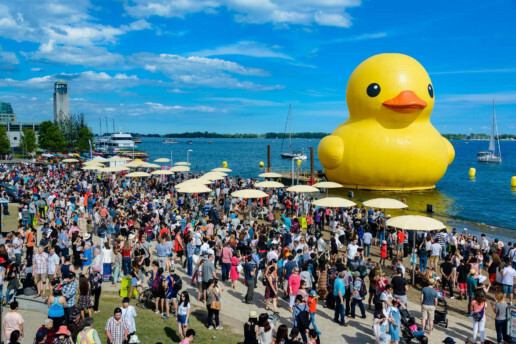 A new economic impact study of 17 major Canadian events shows that FAME’s request for the federal government to establish a program dedicated to the growth of the events industry is more relevant and timely than ever. The KPMG study estimates that a group of 17 events generated a combined $290.8 million in economic benefits (added value at market prices). This calculation is based on $396.4 million in eligible expenditures (operations and tourist). The study estimates that the 17 events created or maintained the equivalent of 4,606 jobs (full-time equivalent) and generated tax revenues of $66.6 million ($49.3 million for the Government of Québec, $17.3 million for the Government of Canada). 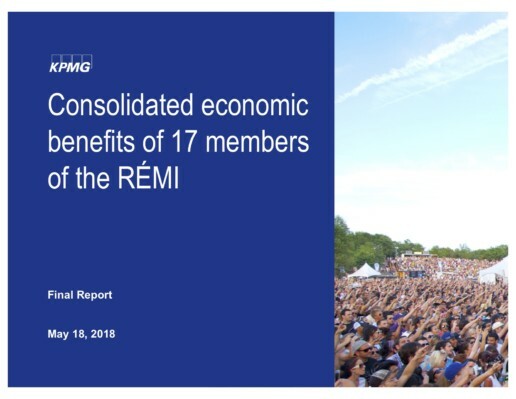 The study, commissioned by KPMG at the request of the Regroupement des événements majeur internationaux (RÉMI), included nine FAME members. It also concludes that the Government of Canada is receiving 1.78 times what it invests in the events thanks to taxes and other levies. The events who participated in the aggregate study are: the Carnaval de Québec, the Rogers Cup presented by National Bank, the Festival d’été de Québec, the Montréal International Jazz Festival, the Just for Laughs Festival, the Festival de Lanaudière, the Montréal Fashion and Design Festival, the Festival Montréal en Lumière, the Festival Western de St-Tite, Montréal Pride, the Francos de Montréal, Igloofest, the International de montgolfières de Saint-Jean-sur-Richelieu, the International des Feux Loto-Québec, OSHEAGA — Festival Musique et Arts, the Grands Feux Loto-Québec and the Régates de Valleyfield. 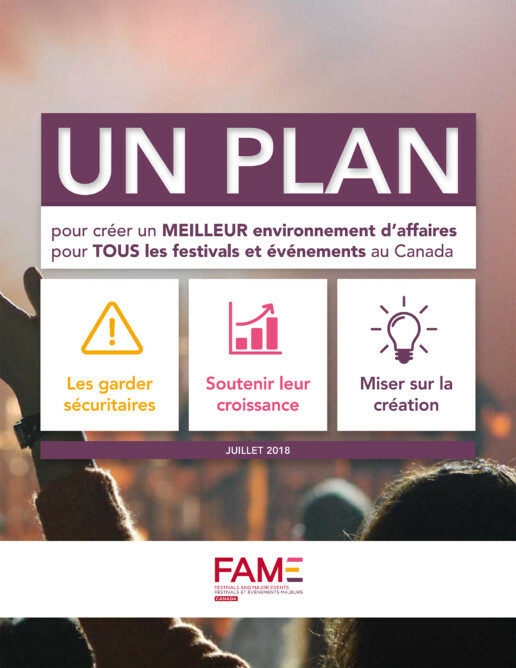 Festivals and Major Events (FAME) is inviting the Government of Canada to increase Canadian productivity and competitiveness through the festivals and major events industry, by investing a part of the allocations for the 150th anniversary celebrations. This is the crux of the written submission FAME presented to the Standing Committee on Finance, in the context of its prebudget consultation - the deadline for which was August 4th, 2017. According to FAME, a $45 M investment will bring in 112.5 M $ in tax revenue for the Government of Canada from the first year. “In 2011, the Government of Canada concluded, in its evaluation of the Marquee Tourism Events Program (2009–2011), that ‘the Program responded to the need for an immediate economic stimulus to the tourism sector’ and ‘created positive benefits for recipients’”, said Martin Roy, Executive Director of FAME. “This positive evaluation speaks to the potential impacts that this type of program could have in today’s context—where the international tourism market is growing like never before. Canada can, and must, seize the opportunity to compete in this lucrative market by increasing support for it festivals and major events sector”, he added.